A copper-red Belgian-style beer with fruity aroma and a taste delightfully balanced between bitter and sweet along with sharp tones of pepper and cloves. Due to rough filtration, Benedikt is a bit cloudy with slight precipitate, but that should also enhance the taste experience. 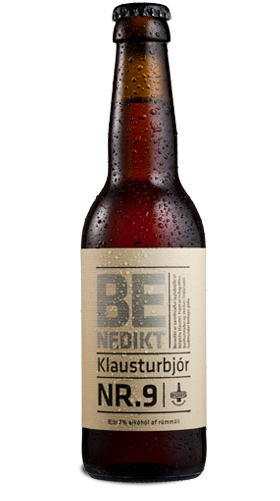 Innihaldsefni: Water, malted barley, malted wheat, sugar, hops og yeast.